One of the most popular criticisms directed at green smoothies is that smoothies are loaded with sugar from blended fruit and thus should be consumed sparingly. I think this is nonsense because fruit sugar and processed sucrose are totally different and affect our bodies in completely opposite ways. In this blog post, I’d like to summarize these differences and illustrate why you don’t need to fear fruit sugar, especially as it pertains to green smoothies. Since the invention of refined sugar in England in the tenth century, the rate of chronic diseases like diabetes, heart disease, and obesity has increased steadily. The reason for this is likely due to the fact that processed sugar is a foreign substance our bodies have trouble processing. Table sugar, also known as “sucrose” is made by smashing the monosaccharides glucose and fructose together in a factory. When ingested, this type of sugar hits our bloodstreams rapidly and causes a spike in blood sugar. In order to combat this, the body produces insulin, a hormone made by the pancreas. When processed sugar is consumed regularly, the body gets exhausted trying to keep up with insulin demands and its ability to produce such hormones diminishes. Eventually, major health problems ensue. Eating fruit does not produce the same effects. While fruit contains some glucose and fructose, it’s also full of water, fiber, vitamins, minerals, and antioxidants, all of which help slow the assimilation of sugars in the bloodstream. Unlike sweet, over processed food, eating fruit spikes blood sugar minimally and gives the body time to produce hormones at a natural pace. This eliminates unnecessary strain on the body and leads to healthy, consistent energy, which is one of the main roles of insulin production in the pancreas. In other words, while cookies, cakes, muffins, and soda pops give you a short energy burst, spike your blood sugar, and later cause a crash, fresh fruit, with fiber intact, will nourish the body and give you clean-burning, long-lasting energy. To put your mind at ease further, consider this, inside a green smoothie fruit sugars are even less worrisome because they are being paired with exponentially more elements that slow sugar assimilation. Fresh, organic greens, which are a key ingredient in smoothies, are packed with nutrients and fiber, lots and lot of fiber. 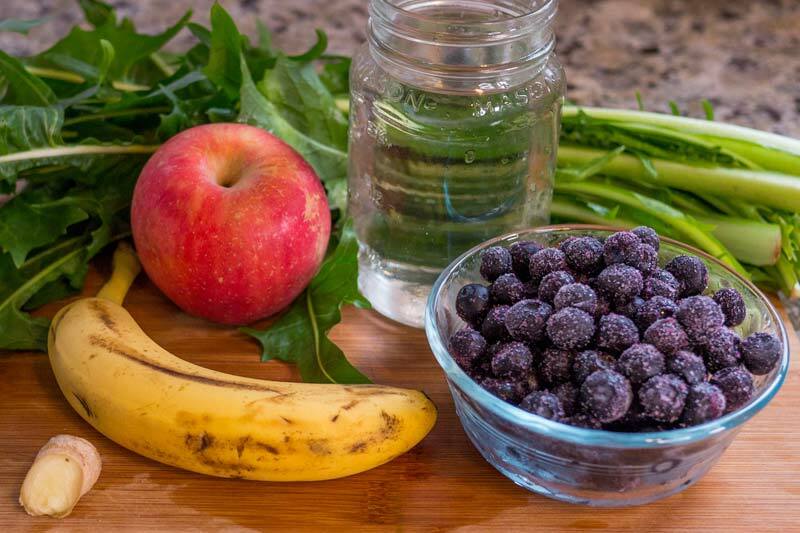 Most green smoothie recipes also call for water, which further dilutes any fruit sugar inside the blender container. If you’re still not convinced that fruit sugar is not the enemy, I urge you to keep an open mind, try the 30-day green smoothie challenge, and decide for yourself what to think. 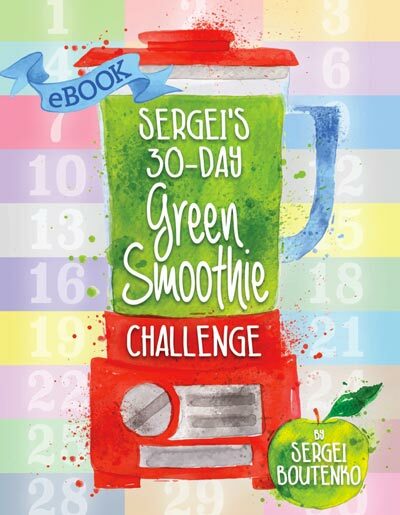 Should you need guidance, I’ve put together an eBook, which conveniently lays out every aspect of the green smoothie challenge. 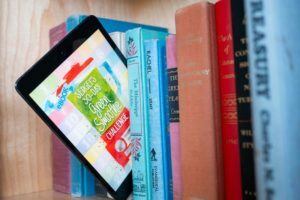 I recommend saving this eBook to your favorite device so that it’s always close when you need it. For example, if you save it to your smart phone, you’ll be able to access the ingredients shopping lists and smoothie recipes at the grocery story next time you go food shopping.